The book is geared toward those who have a rudimentary knowledge of recent economic events and basic investment literacy. Yet it is readable for anyone who has an interest in the subject, breaking it down into understandable terms. You won’t find unintelligible equations or proofs like you see in many economic journals today, only well-placed graphs to illustrate various points. 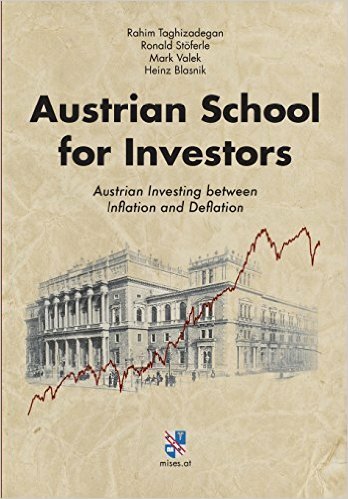 As the Austrian School of Economics is based on sound reasoning and deductive logic, don’t expect the book to be controversial in terms of its investment advice. Examples include valuing stocks on measures of cash flow, plus advice to pay down personal debt and keep a minimum amount of liquid savings for emergencies. However, other parts of the book will be a big wake-up call, going against what is traditionally taught in college finance classes, or considered ‘common sense’ on Wall Street. Just read the chapter on government bonds! Traditionally considered a risk-free asset in finance, the book shows how government bonds can be incredibly risky and at their heart, they are only a speculation on higher tax ratios. The book is very timely, addressing current events and recent central bank behavior. Some may view this as a negative, since parts of the book will not be timeless. But I appreciate the authors sticking their necks out by making some concrete predictions and offering advice. I also appreciate the stance and tone of the authors is not apocalyptic, fear-mongering or end-of-the-world – something that is prevalent and is used to sell investment advice from many free-market investment advisors today. Instead, what is given is solid advice with actionable ideas and even concrete tools that regular retail investors can use. In an upcoming article I will detail one of the ideas that regular investors can put to work, called the Permanent Portfolio. 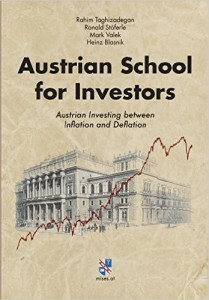 Some of the concepts of Austrian economics are only briefly covered. So if you do not have previous experience with these concepts, they may be hard to digest in such a short time, and you might want to supplement your reading. One such resource is Austrian Economics: A Primer, available for free. Overall, anyone who has even a small amount of savings or investments would do well to read this book. Even if you just put your money in index and mutual funds rather than being an active investor, there are some thought-provoking ideas here. Knowledge and prudence are especially crucial as we continue through an era of unprecedented monetary distortions and central bank experimentation.